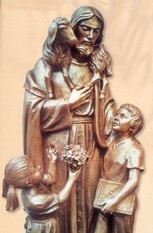 Enhance your home, yard or church with a religious statue from Matthew F. Sheehan. 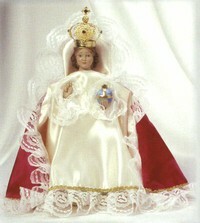 We carry a large selection of religious statuary including figures of angels, saints, the Blessed Mother and more. 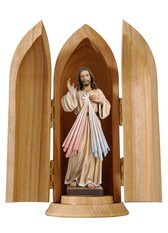 Our religious statues will allow you to have a personal devotion to the Lord, the Blessed Mother or favorite saint in your home, church or garden. 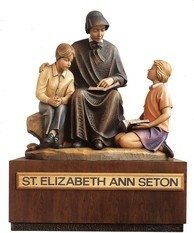 Our statues are available in a variety of sizes and styles designed to meet your unique needs while perfectly fitting your space. 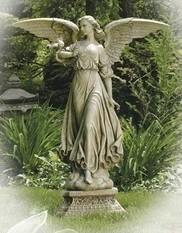 Our statues are ideal for home or institutional use and our outdoor religious statues make a lovely accent to any garden. 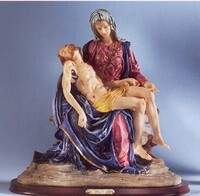 Choose your favorite statue today and enjoy the beauty and tranquility the holy figures will bring to your life. 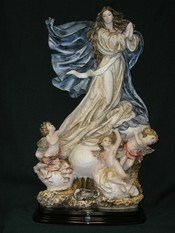 Our religious angel statues, saint statues and other figures are made from high-quality materials such as wood, plaster, porcelain, alabaster, marble and more. 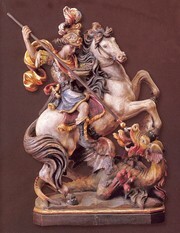 The material used to make the statue depends on its size and intended purpose. 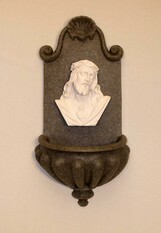 Indoor statues can be made from more delicate materials such as wood or porcelain while outdoor statues are usually made from weather-resistant materials such as plaster, alabaster or marble. At Matthew F. Sheehan we know that quality is important to our customers which is why our indoor and outdoor statues are made by some of the most trusted names in the industry. Our statues are made by well-known brands like Conrad Moroder, Demetz, Pema Art Studio and Institutional Statuary. These manufacturers are known for producing high-quality, beautiful statues that wear well and provide years of serenity and purpose. Whether you're shopping for religious lawn statues or indoor figures, our large selection ensures you'll find the perfect piece for your space. Choose Matthew F. Sheehan for all of your religious statuary needs. We have been in business since 1907 and take pride in delivering the finest quality church goods at exceptional values. Our long-standing relationships with many of the world's finest manufactures of religious statues ensures we can offer high-quality pieces at affordable prices. For questions or help ordering, please call us at 1-617-934-6266.